Although Internet usage in China has boomed over the past ten years, the nation's retail e-commerce is still in startup mode, particularly compared to the United States. China currently has over 210 million Internet users, a recent survey by the China Internet Network Information Center reported. Only the U.S., with an estimated 218 million users, has more. In comparison, China's retail e-commerce, or business-to-consumer, sales for 2007 totaled only about US$626 million, according to Beijing-based IT consultancy Analysys International. 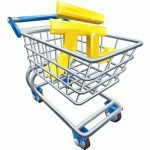 In the U.S., retail e-commerce sales in 2007 topped US$125 billion, based on the latest U.S. Department of Commerce statistics. While the actual numbers may vary–U.S. retail statistics don't include the online sales of services, and the Chinese B2C statistics don't include manufacturer direct sales–the gap still remains great. Why such a difference? Several reasons stand out, but a key one is simply this: buying online is a dramatic change from conventional shopping practices. Consumers in China still prefer to look over the goods, determine their quality, and then, if satisfied, pay in cash–important considerations in a marketplace where the sale of most goods is final. Online commerce, in comparison, is an alien experience that only increases risk. Consumers who receive fake or broken items, or simply want to return an item, may have no recourse. In the U.S., a whopping 1.5 billion credit cards are estimated to be in circulation. Credit cards afford U.S. consumers a degree of protection with chargeback rights and a US$50 liability limit if the card is lost or stolen. Once online payment services, such as PayPal entered the picture in the late 1990's, the growth of retail online transactions skyrocketed since merchants could handle online credit card payments for even small purchases. The situation in China contrasts sharply. Although more than 1.1 billion bank cards are in circulation, the vast majority consists of debit cards–only about 50 million credit cards have been issued. Even then, credit cards in China often require funds to be deposited before they can be spent, limiting the convenience the card is supposed to provide. E-commerce logistics are another hurdle. Given the size and vast distances in China, delivery for most firms is limited to major metropolitan areas using couriers. Moreover, over 70 percent of all purchases in the Chinese B2C e-commerce market are paid cash-on-delivery, according to Analysys International. But this method of payment presents additional challenges and risks for online merchants, sometimes referred to as e-tailers, who have to work through couriers to both arrange delivery as well as collect cash. "The fact that COD is still being used for the online purchase of such standardized products as air travel tickets," says Zennon Kapron, managing director of KapronAsia, a Shanghai-based financial consultancy, "indicates that something is fundamentally still wrong in the system." According to one 30-something professional in Shanghai interviewed for this article, "I don't buy online, but I do shop online." She visits merchant sites, compares prices, and reads product reviews–all online. But when it comes to buying, she orders by phone and only pays COD. The Chinese government has taken note of the potential growth of online purchases, with the inclusion in 2007 of a strategy for e-commerce development in China's 11th Five-Year Plan. That section focuses on developing the e-commerce industry on a grand scale. But it is the participants in the private sector, businesses and consumers, who ultimately will be the driving force needed to expand China's retail e-commerce. When it comes to online retail business in China, small and midsize enterprises are still a minor presence. According to Analysys International, of the more than 40 million SMEs in China, just over 100,000 sell their products online to consumers. Most development to date in e-commerce has been with Chinese businesses selling to overseas businesses via a ready-made online interface, or "storefront," such as Alibaba offers. 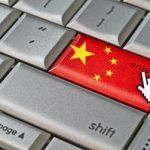 According to Alan Tien, who previously worked for PayPal China and is now the China general manager of Geni, "There just aren't that many SMEs tech savvy enough to put their items online themselves." While the U.S. serves as a good model for the potential of e-commerce in China, the business environment in China is different. "Foreign enterprises helped spur China's e-commerce by introducing vanguard technologies and providing a vision of the possibilities," says analyst Cao Fei of Analysys International. But future growth in e-commerce depends on adapting to local market conditions. A view of the Web landscape in China, where local online companies play a central role, is a good example. Baidu, Taobao, and Dangdang are homegrown sites as popular as Google, eBay, and Amazon are with most Americans. As might be expected, e-payment processing is dominated by local players. "There are a lot of choices for e-payments, but credit cards are only one of them," says Dave Carini, co-founder of Maverick China Research, a Beijing-based business intelligence firm. There are up to 30 third-party payment providers in China, dominated by such big names as Alipay, Tenpay, and ChinaPay. All have the same objectives for handling transactions between buyers and sellers: convenience, security, and low costs. The largest, Alipay, with 54% of the online payment market, uses an escrow system to address risk concerns. Buyers place funds in an escrow account. Upon receipt of a product, the buyer notifies Alipay, who then forwards payment to the seller. In China, each third-party provider is focused on setting up its own e-payment network with merchants and banks. As a result, when purchasing from a new online retailer, consumers need to first determine whether they are a member of that e-tailer's accepted e-payment network. If not, they have to enroll. That step may require a visit, or even multiple visits, in person to the consumer's bank in order to sign up for membership. "The logjam is when you try to make a payment," says co-founder Carini. The difficulty involved in just buying a book or sweater online for the first time can be enough to turn people off from the whole process. That's the challenge China faces. Compare that experience with that of most U.S. consumers who are used to, and expect, "one click" online shopping, and who trust that their transaction details will remain secure. For many U.S. shoppers, e-commerce means convenience. Often all that is required is to remember a Web site logon password–the consumer's credit card numbers, shipping and billing addresses, and even past purchases from that vendor are all stored online. Mobile payments, or m-payments, are often proposed as the holy grail for simplifying the electronic payment process, since China has the world's largest mobile phone market with over half a billion subscribers. A number of third-party payment providers, such as Union Mobile Pay and Smart Pay, focus specifically on handling online payments using mobile phones. "Mobile payments have the potential to be the 'killer app' to accelerate the growth of online retail transactions in China," says Rao Talasila, senior manager at Cisco Systems in China. But m-payments face some challenges, requiring the cooperation and collaboration among the mobile operators, banks, phone manufacturers, and retail merchants, not to mention the increased adoption by consumers. 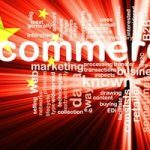 So what is the key to expanding retail e-commerce in China? "E-payments are only a piece of the puzzle," says general manager Tien. He sees lack of trust as the key factor inhibiting retail e-commerce in China. Consumers will only buy from a large company or a brand they trust to limit the risk of receiving damaged or pirated goods, or having their bank card PIN codes stolen. And without strong demand from online buyers, smaller businesses don't have an incentive to establish a Web presence. So with only limited trust and incentives, retail e-commerce in China remains undersized. Will that change? Yes, but it will require a major shift in buying habits and outlook. That process may already be happening. 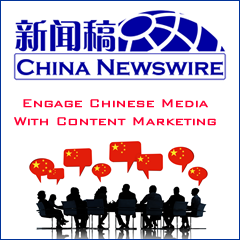 According to a 2007 survey conducted by the CNNIC, just over one fourth of Chinese Internet users have shopped online, largely fueled by consumer-to-consumer sales (C2C). An example in this area is the growth of Taobao, a Chinese language online auction site for consumer trading. Experience that consumers in China gain from shopping in this market sector may eventually spill over and spur growth in retail e-commerce. For China, there are a number of factors that need to occur for retail e-commerce to really expand: adoption of new buying habits, better understanding of technology, improved logistics, ease of online payments, and improved trust levels between buyers and sellers. But with tens of millions of new Internet users each year, and scores of new online sites opening each day, that process is bound to happen. "Once the infrastructure is in place, and the Chinese consumer gets used to it," says managing director Kapron, "the growth of e-commerce is going to be phenomenal." Francis "Chip" Peters is a Commercial Officer at the American Consulate General in Shanghai for the U.S. Commercial Service, an agency which offers a range of services to assist U.S. firms export goods and services to markets worldwide. He can be contacted at [email protected]. An edited version of this article appeared in the March 2008 edition of the AmCham Shanghai publication "Insight."